This analysis uses network and spatial data to identify optimal individuals to target with overdose prevention interventions in rural Appalachia. Five hundred and three rural persons who use drugs were recruited to participate in the Social Networks among Appalachian People Study (2008–2010). Interviewer-administered surveys collected information on demographic characteristics, risk behaviors (including overdose history), network members, and residential addresses. We restricted the sample to individuals with at least one confirmed relationship to another study participant (N = 463). Using dyadic analyses (N = 1428 relationships), we identified relationship-level correlates of relationships with network members who have previously overdosed. We then examined individual- and network-level factors associated with (1) having at least one first-degree alter (i.e., network member) with a prior overdose and (2) each additional network member with a prior overdose (N = 463 study participants). Overall, 28% of the sample had previously overdosed and 57% were one-degree away from someone who previously overdosed. Relationships with those who had overdosed were characterized by closer residential proximity. Those with at least one network member who previously overdosed were more geographically central and occupied more central network positions. Further, the number of network members with an overdose history increased with decreasing distance to the town center, increasing network centrality, and prior enrollment in an alcohol detox program. 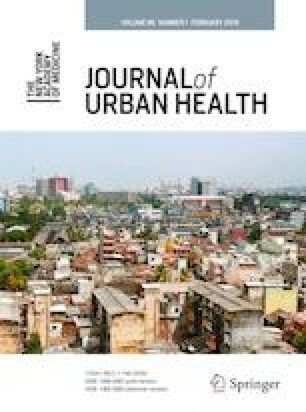 Because fatal overdoses can be prevented through bystander intervention, these findings suggest that strategies that target more central individuals (both geographically and based on their network positions) and those who have previously enrolled in alcohol detox programs with overdose prevention training and naloxone may optimize intervention reach and have the potential to curb overdose fatalities in this region. Funding was provided by the National Institute of Health grant numbers R01 DA024598 & R01 DA033862 (PI: Havens, JR), K01 DA033879 (PI: Rudolph, AE), and R21 AI131979 (PI: Rudolph, AE). Injury Prevention & Control: Data & Statistics (WISQARSTM) 2014 (Available at: http://www.cdc.gov/injury/images/lc-charts/leading_causes_of_injury_deaths_unintentional_injury_2014_1040w740h.gif). Accessed March 7, 2016. http://www.cdc.gov/injury/images/lc-charts/leading_causes_of_injury_deaths_unintentional_injury_2014_1040w740h.gif. Centers for Disease Control and Prevention. Drug overdose deaths in the United States, 1999-2016. National Center for Health Statistics 2017. Available at::https://www.cdc.gov/nchs/products/databriefs/db294.htm. Accessed 21 Dec 2017. Centers for Disease Control and Prevention. CDC reports rising rates of drug overdose deaths in rural areas. CDC 24/7: Saving Lives, Protecting People 2017. Available at: https://www.cdc.gov/media/releases/2017/p1019-rural-overdose-deaths.html. Accessed 19 Oct 2018. Centers for Disease Control and Prevention Drug Overdose Death Data. 2017; https://www.cdc.gov/drugoverdose/data/statedeaths.html. Accessed 7 Oct 2018. Tilley JC, Ingram V. 2017 Overdose fatality report. 2017. Available at: https://odcp.ky.gov/Documents/2017%20Kentucky%20Overdose%20Fatality%20Report%20%28final1%29.pdf. 19 Oct 2018. Environmental Systems Research Institute (ESRI). North America detailed streets. 2007; http://www.arcgis.com/home/item.html?id=f38b87cc295541fb88513d1ed7cec9fd. Accessed September 1, 2013.